Life is a tale, told by an idiot full of sound and fury signifying nothing, well we still can manage to make life worth living, by celebrating every day, by creating happy moments, by making people smile, by making things easier for others, by helping people and supporting them as a morale booster at the hour of need. Happiness always comes from within which is then being radiated and attracts people to this vibe. So it is very important to start it from your own self. If you are contented you will encircle good people who share the same positive vibe just as you. Ever wonder how people are living without roof and shelter, without their parents and friends, without good food and commodities, without wellness and health? We are blessed to have all such small and big things we ever dreamed of, we ever prayed for. Yes, we are better than many who have been suffering in gales and hurricanes, who have been weird victims of starvation and hunger, we have everything at our disposal, we have houses to renovate, and we have places we can visit. So always be thankful for what you have. A house is never complete without decorations, you bring all costly things to deck it up, vases frames, graffiti art and wall decals are important ingredients to make a house pretty. 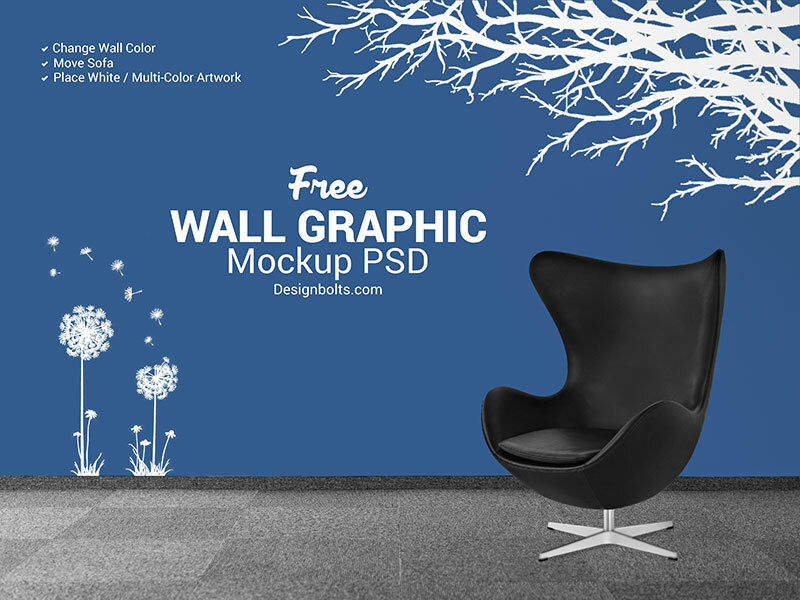 Down here I am presenting before you free wall decal mockup psd in which you can add in your own element to show it off to your client that how this wall decal will look in actual form. 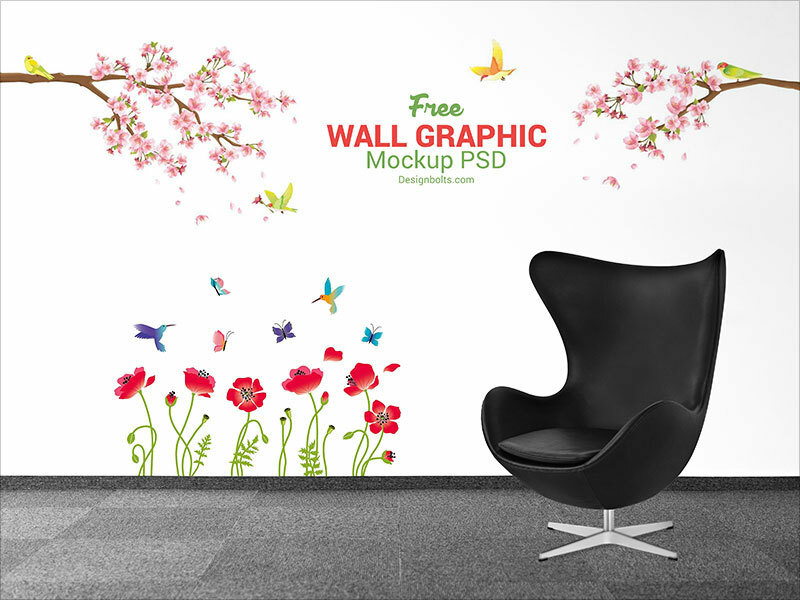 Wall decals are not only meant for houses but corporate offices, agencies and media houses love to apply decals on the walls to make them stunning and attractive. It depends how and what type of stickers you like, they vary from nature, to animals from random prints to cute and funky designs. But here we have a mockup for designers so they can insert in the design elements and make a presentation out of it for their clients. Here we go to come right back again. 3. Move sofa left or right or remove if required. 4. Say thanks if you like or share/tweet with your friends. 3. Move sofa left or right or remove if required, you can change wall color as well.